July 3, 2017, 1:41 p.m.
Goodbye to Law Blog, China Real Time, India Real Time, Speakeasy, and four others. By Christine Schmidt @newsbyschmidt July 3, 2017, 1:41 p.m.
On the heels of ending its news digest app and fine-tuning its push notification strategy, The Wall Street Journal shut down eight blogs on Monday. Their topics ranged from legal news to the Chinese economy to arts, culture, and entertainment. 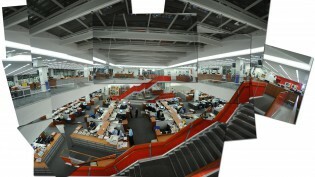 The shutterings were another condensation of platforms in the Wall Street Journal’s digital strategy, folding coverage of the topic areas into the Wall Street Journal’s homepage. Law Blog was the first of its kind at the WSJ and was an immediate hit, attracting readers from all corners of the legal world. Its success helped usher in a sort of Golden Age for blogs at WSJ and encourage the growth of a wider, legal blogosphere. When this site was born, China’s GDP growth was in double digits, Beijing building toward the triumph of the Olympics and China-themed blogs were proliferating across the internet. Nine years later, China’s government is struggling to keep the economy growing above 6%, the Olympics are a fading memory and many a China blog has fallen silent. The China story has changed, and so have the the tools for telling it. Regretfully, the time has come for China Real Time to end its run. We plan to transfer the same energy and insight that animated the blog to covering China on WSJ’s other platforms, including the main English and Chinese websites. 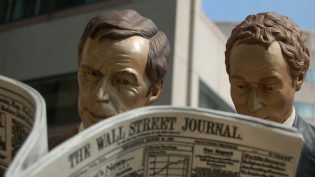 Wall Street Journal spokesperson Steve Severinghaus said that a total of eight verticals have been shuttered as part of the WSJ 2020 project, an internal operations review launched in October 2016. The other affected blogs are arts/culture/entertainment blog Speakeasy (last updated in March), Off Duty Daily (last updated in May 2016), breaking news hub Dispatch, sports blog The Daily Fix, and data review blog the Numbers (last updated in July 2016). “We’ll continue to cover these areas robustly through other storytelling formats and our digital platforms,” Severinghaus said in an email. While the Wall Street Journal’s China and India bureaus and lead legal writers won’t be posting to the blogs anymore, the sites will remain live as archives. The social media accounts for the blogs will continue to be updated with relevant content from the Journal’s reporters, according to the blog posts announcing the closures. But for some followers, that’s not enough. The decision to shutter these blogs is another streamlining of the Journal’s platforms, days after the What’s News digest app ceased publication. Mobile editor Phil Izzo told my colleague Joseph Lichterman that the Wall Street Journal is aiming for flexibility with platforms while still maintaining autonomy over their content. “What we’re trying to do is set up a place where we can make changes. We’re never going to be a tech company. We’re never going to be Google or Facebook. But what we can do is have more control over our product and more control over what we put out,” Izzo said last month. As South Asia deputy bureau chief Eric Bellman said in the note announcing Real Time India’s end, the content will keep coming — just not on the blogs. India Real Time started in 2010 as the first attempt by a global newspaper to offer a news product for Indian readers through the internet. Seven years and crores of clicks later, The Wall Street Journal is winding down the successful blog. We will continue to offer the content Indian readers want through the more popular paths of distribution: WSJ subscriptions, apps and social media. The Wall Street Journal will continue to maintain some blogs, such as Real Time Economics and MoneyBeat. 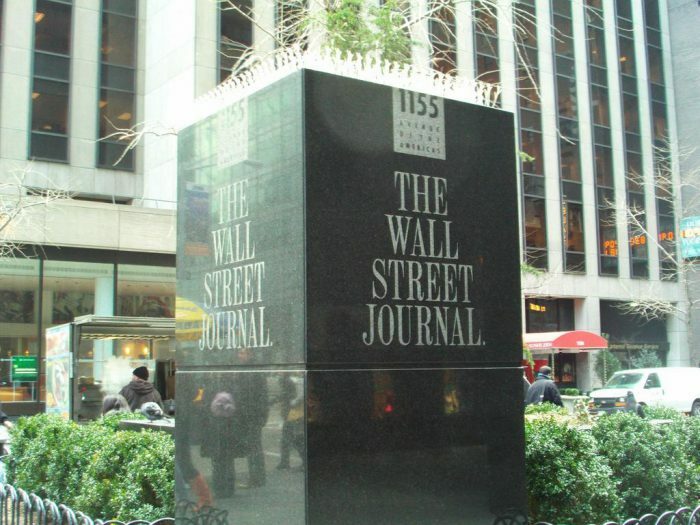 Photo of The Wall Street Journal marker by Jennifer Feuchter used under a Creative Commons license. POSTED July 3, 2017, 1:41 p.m.
Schmidt, Christine. "The Wall Street Journal shutters eight blogs: “The tools for telling” stories have changed." Nieman Journalism Lab. Nieman Foundation for Journalism at Harvard, 3 Jul. 2017. Web. 21 Apr. 2019. Schmidt, Christine. 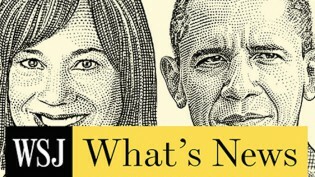 "The Wall Street Journal shutters eight blogs: “The tools for telling” stories have changed." Nieman Journalism Lab. Last modified July 3, 2017. Accessed April 21, 2019. https://www.niemanlab.org/2017/07/the-wall-street-journal-shutters-eight-blogs-the-tools-for-telling-stories-have-changed/.